We are one day away from the deadline, set forth in Delaware’s Constitution, requiring the General Assembly to put forth and pass a balanced budget. Because of this, we have been seeing and hearing some rather desperate suggestions to solve the looming, nearly $400 million deficit we are facing as a state. Of course we are also seeing and hearing a lot of blame being laid upon the two political parties, each blaming the other for the impasse they have found themselves at, over how to fill the gap created by decades of mismanagement. Of course the majority party, the Democrats, want to raise taxes on everything from tobacco to personal income, while the Republicans have been pushing that old tired horse of prevailing wage up hill, and calling for cuts. The latest suggestion of how to make cuts, and save tax payers money, is to cut all grant in aid spending to nonprofits, such as fire companies and charities. As you would expect, there has been an outcry about how unfair this would be. What you may not expect, is where some of the crying is coming from. Like when it was suggested to pull state funding from local school districts, it was many of the so-called conservatives who seemed most outraged. Now, we are again hearing people complain about state funding being pulled from what are private sector, nonprofit organizations. I have long called for the termination of all discretionary spending, along with grant in aid spending, and all subsidies. Why is it the role of government to decide winners and losers in the area of charities? And if the state is going to support fire companies, then they should be made an agency of the state, and have paid professionals. How is it we believe, an organization can maintain its sovereignty, and take public monies? The same as I believe local school districts lose their local control by taking state and federal monies, so do charities and fire companies. Why would any organization want to take on the attached mandates which come with any outside funding? How many times do we hear people say, “government needs to run its house like I run mine”. Meaning, when the money isn’t there, then you can’t spend it. These organizations have become drunk on the state funding, and now they feel entitled to it, much in the way we complain about any welfare recipient. 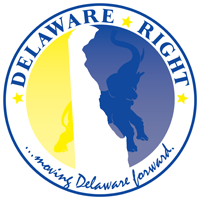 It seems it is time for many in Delaware to take the hit for years of sending the same people back year after year, and allowing the same party to run the state for decades until we find ourselves in this state of affairs. It is also time for these organizations to run their houses like I run mine, when the money isn’t there, then they can’t spend it. Charities will need to actually fund raise, instead of looking to the state for their funding, and maybe fire companies won’t be able to replace that truck that is only ten years old. It is time we all learn to live within our means, and to live by our principles. Delaware is facing some hard choices, and some hard times. We as a state will need to pull together and work together, to find our way out of this hole we have dug. The time for blame is past, the time for leadership is now. We should immediately end all programs which are in a trial state or a test program. We cannot afford trials or test. All studies into new programs should be halted immediately also. No new studies for the next five years at the very least. And all discretionary spending forever, and all grant in aid for ten years, and to revue at that time the need. We just might find, that like prior to the implementation of such program, we can survive without them. Many of these funding programs were invented as a way to gain control of areas of the private sector, and it has worked quite well, to the point to where these organizations have gladly given over their free will, for the government coin. 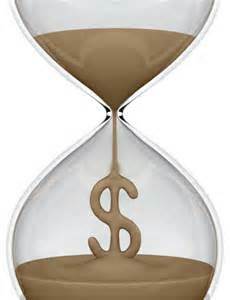 6 Comments on "Time Is Running Out On Delaware’s Deficit Problem"
The hole “we” have dug? You mean the hole the Socialist-Democrats have dug. After all, they are the ones who have run the state for years. Connecticut is the wealthiest state (per capita) in the nation, which is amazing since they have a significant number of inner-city ghettos (Norwalk, Bridgeport, New Haven, Hartford and so on) that drive the average down. And they have been run by Socialist-Democrats for decades, and they are now on the verge of bankruptcy. This is what socialists do; spend, spend, spend, tax, tax tax. And eventually, the money runs out. No wonder Delaware leads the nation in the percentage of college grads who leave the state to seek employment elsewhere. This is amazing, since Delaware is located in the heart of the east coast megalopolis, with a major railroad line and I-95 running right through NCC. Our state spends a small fortune promoting beaches, buses and bike paths. But everybody already knows about the beaches. They are packed every year. This state had better figure out a way to attract and keep business, particularly upstate. Instead of raising cigarette taxes, our “leaders” had better start facing reality; that the current way of doing business is an abject failure. Dems are using trickery and breaking the rules, and then blaming the Republicans for not going along with the ruse. Both POS parties are corrupt and don’t give a damn about anyone…. True, but the Socialist-Democrats own the agenda, the budget and the deficit. So why is it Republicans came to the defense of their favorite welfare programs, grant in aid? The GOP in Delaware is generally Socialist Lite. Over the decades, when Republicans “compromise” (rather than hold fast), the state ratchets to the left. Year-in-and-year-out. Eventually, Republicans- the appeasers- are left-of-center. You cannot compromise with and you cannot appease socialists. Because in so doing, you are always moving left. You become Socialist-Lite. Always creating new “programs.” Always needing more tax revenue. Always headed toward the abyss. Connecticut was once pretty much Republican. Now it is, like Delaware, Democrat-dominated. And it is facing the specter of bankruptcy, even though it has the highest average income in the United states. ← Senator Brian Pettyjohn, Mistake? Or Misfire?